Mahabharata is a fascinating, mammoth work of fiction with millions of sub-plots. Personally I have found Mahabharata much more intriguing than Ramayana. The sheer amount of conflicts, latent themes and contradictions engage your mind in constant debate. (The only other book that has turned over my mind such is perhaps Wuthering Heights.) No wonder dozens of variants and narratives for the same story exist. Not only variants, the whole saga has been written from perspective of so many characters such as Draupadi (The Palace of Illusions), Duryodhana (Mahabharta ki ek saanjh), Karna (Karna ki atamkatha), Bhima (Randamoozham) and so on. Arjun is a similar attempt with the third Pandava prince, Arjuna in focus (notice I do not say Arjuna’s perspective). This means, story of five brothers will be told closely as well. Even with five different personalities, the five brothers presented a single entity as Pandavas. Panchali only solidified that unit. The language of the book is simple and does not draw away from the story, and often it feels as if this book is a collection of parables. I treated this book as a refresher of all the stories I have read before in Mahabharata. Also, book doesn’t always attempt to present the events in chronology, however, the way it was presented, I assumed that it was expected that readers are familiar with Mahabharata. This, though I gather may have been intentional on author’s part, was a mild irritant to me. 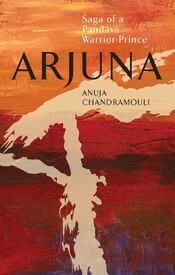 In terms of narrating history and choices of sub-plots with Arjuna as focus, the book has been successful. However, did it provide occasions to pause and debate or throw a light on a philosophical perspective, or bring out innermost conflicts of Arjuna (other than those well-known at battlefield)? In that, book is wanting. Other than few notions of Arjuna – his arrogance that humanizes him, his mild indignation at what he thinks is Bhima’s naivety, and lastly, his belated realisation of everlasting love for Draupadi – Arjuna remains same character that we knew him from our earlier reads. Book doesn’t conjure anything new in in our minds. 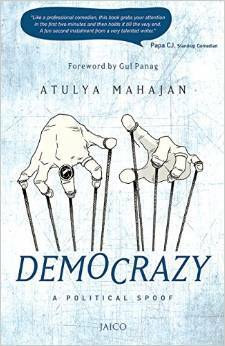 For example, Mahabharat ki ek saanjh is compelling in presenting an argument from Duryodhan’s perspective. But then, as I clarified, it is not really a perspective book. It is a re-telling, where Arjuna lies at the crux of it. It is fast read and worth a trip down the memory lane of your favorite epic. P.S: 1. I noted a disconcerting gender usage. When Arjuna hits Duryodhan in his nails in the battle, he ‘cries like a girl’. Oh, no. 2. It was a relief to once again read a mythology book where the characters did not say, ‘hell, yeah’. Touche! 😉 Also, unlike last few review copies I read, the editing was decent and I didn’t not find any of those punctuation issues that are eye sores when reading a book. In The Secret of the Nagas, Shiva realises that Nagas – the deformed creatures believed to be evil – have more role to play than it meets the eye. 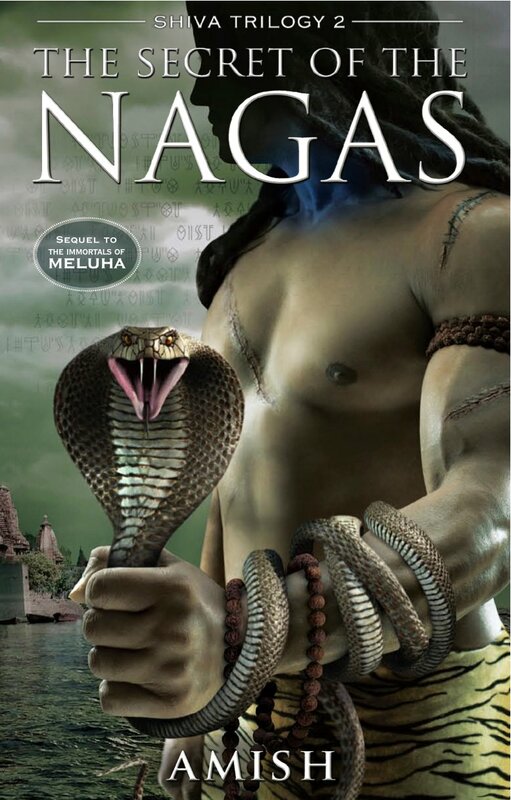 With the help from both Suryavanshis and Chandravanshis, Shiva is hot on the pursuit of a Naga who he believes has killed his friend Brahaspati – and everywhere he looks, he finds a new trail or connection to secretive Nagas. Meanwhile, Shiva who had fallen in love and married Sati, daughter of extremely friendly Meluhan king Daksha, in the first book also becomes a father. 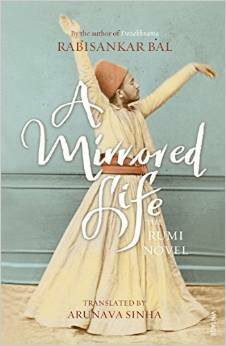 The story about his first son and his turbulent relationship with his parents is the most poignant part of this book. This books as its previous one is a page turner – the plot is smooth and all the loose ends connect to a complete pattern. Story as before is fast-paced, you are eager to know what comes next. I had my theories about the book, I am glad to confess that this book was not predictable as I had thought it to be. This I consider as an achievement of the book. Unlike first book, Shiva and his immediate family (his wife and sons) are the primary characters of this book. There are several revelations – the boundaries between good and evil seem to blur. Ganesha, the first son, is my favorite character in this book. Other old characters such as Nandi, Veerbhadra and Drapaku have smaller roles, instead a Chandravanshi prince Bhagirath is the new character that has his own intriguing sub-plot. General Parvateshwar, Shiva’s trusted Suryavanshi aide from previous book, a vowed celibate has fallen in love (oops, a spoiler – but now you need to find out who). The language of the book remains a constant irritant as it was in the last book as well. Several conversations (even those of Sati-Shiva) come across as corny. Language, in a desperate attempt to be contemporary is uninspiring and a turn-off at times. There are editing errors like one on Page 50 (first sentence) – an incorrect usage of ‘it’s’. Amish as before tries to include war strategies. (I clearly remember an indignant reader of the first book who complained that war stratagem was taken off the movie Gladiator!) But, it is the elaborate description of temple layouts and structures in the book that I find incredibly boring. However, despite its superficial style of writing, the semi-historic retelling of story in the way it weaves mythology still makes the book worth a read. Everyone has had their Dabangg say; now is my turn. 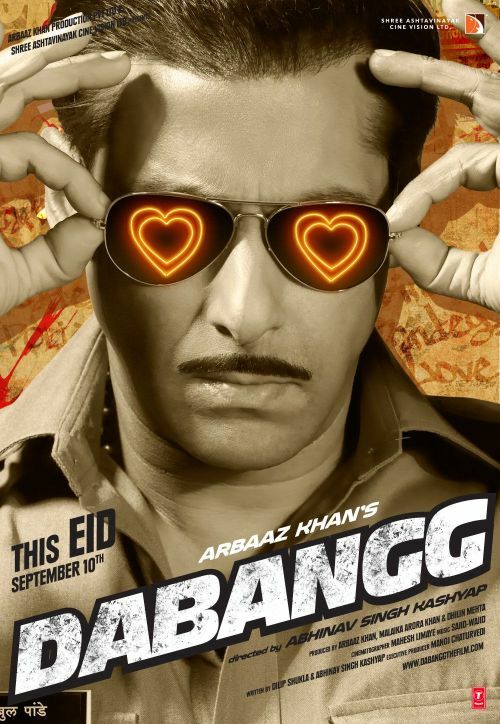 For those of you still clueless about what Dabangg means, here’s the meaning – ‘one who cannot be suppressed’. The dubangg man, Chulbul Pandey (Salman Khan) who loves to call himself Robin Hood, is an incorrigibly corrupt police officer in a place called Lalganj in UP. This ‘Robin Hood’ is always warring with a local small-time goon politician over territory and money. Mostly money. So, he and his team of all moustachioed policemen chase the goons for their own means. Typically, as is the case in the movies aimed at UP-Bihar masses (or for that matter, movies of South), rest all policemen are sidekicks and it is the one-man-army-hero Salman who bashes them all. Then after a moment, popped the question, what is this movie about? I knew only two things: One, Jhing Chik Jhing (JCJ) is a Marathi movie, which has bagged 7 state awards. Second, it is set in backdrop of farmer suicides – a subject very close to my heart. [I had long back watched Summer 2007, a damning and harsh movie on the subject starring Ashutosh Rana, Gul Panag and Sikander Kher. The only grouse I had with the movie, as I remember now, was: an ape-looking Sikander Kher, but the movie itself was an eye-opener.